A luxe new set of color pencils that happens to be the brand’s latest and much-touted for art accessory! 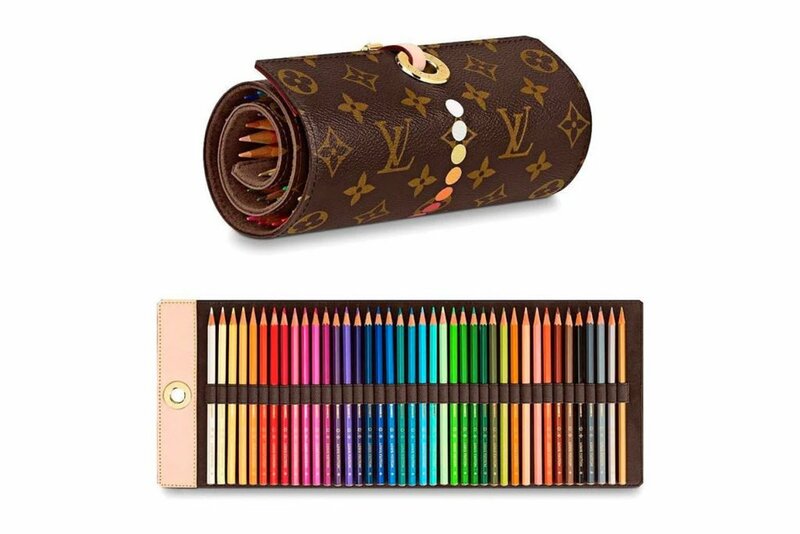 Being Louis Vuitton’s premium take on coloring, the set contains 40 wooden color pencils that are stocked inside a unique leather roll-up case. 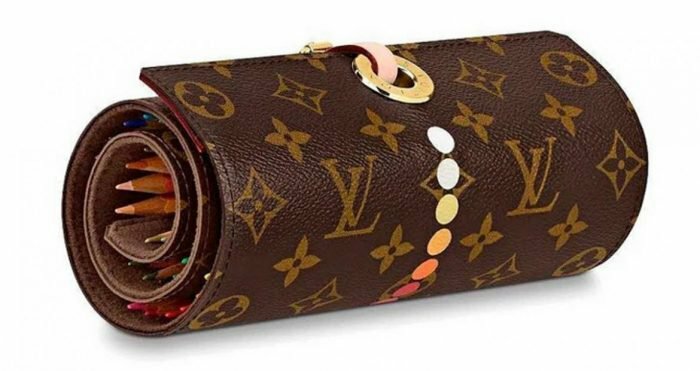 It features LV’s signature monogram motif on the exterior and displays the precious color sticks stacked neatly next to one another on the reverse side. Made from the finest leather, the roll-up case also features golden metal hardware rings (with the Louis Vuitton inscription) and an attached baby pink enclose made from soft calfskin leather to help seal the case tight and in place. Alongside a tough finishing, other details include a line of hand-painted circles on the monogrammed side of the case that matches the pencil’s respective colors and also enables the user to identify the original position of each color. The LV pencil set serves as the ultimate carry-along for the art lovers and easily facilitates one to sketch, color or simply doodle on to the go! It is priced at approximately $900 USD and is expected to hit the shelves in early April.